Construction & Restoration Archives - Oakwood Construction & Restoration Services, Inc.Oakwood Construction & Restoration Services, Inc.
Oakwood Construction & Restoration Services, Inc.
Oakwood branch receives outstanding performance award. Industry leader in disaster recovery services, InStar Services Group (www.InStar.com) is proud to announce that its Oakwood Construction &amp; Restoration Services branch (www.oakwoodteam.com) in Anaheim, Calif. was recognized as an outstanding performer by the Automobile Club of Southern California. Oakwood/InStar has been a preferred vendor of the Automobile Club of Southern California’s Immediate Repair Program for the past 13 years. 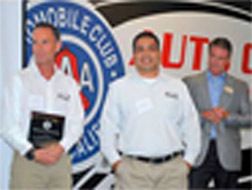 It was selected as the outstanding performer of 2011 from a pool of more than 60 vendors based on a customer survey sponsored by the Automobile Club of Sothern California. The survey asks homeowners to review their contractor’s work in the areas of customer service, quality of workmanship, speed, estimating accuracy and overall cost. Oakwood/InStar completed an overhaul of its customer service practices in 2011. Oakwood/InStar received the honor at the Automobile Club of Southern California’s Awards Luncheon, hosted on April 26 at Fontana Speedway. © 2019 Oakwood Construction & Restoration Services, Inc.